I really liked writing my previous autumn/winter wishlist post so today I thought I'd do a sequel on the beautiful retro clothes I'm eyeing up this month. Hope you like it! 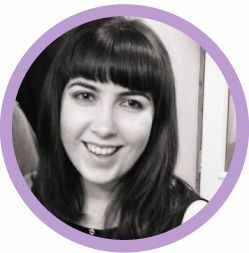 Lindy Bop is one of my favourite retro brands because their clothes are so affordable - you can't get a £35 dress in many places on the high street these days, so to get a repro dress for that money is amazing! This gorgeous butterfly print dress would be great for a day when you want something smart yet relaxed. Its navy background adds a wintry touch to the bright butterflies and the sleeves mean you shouldn't get too cold. 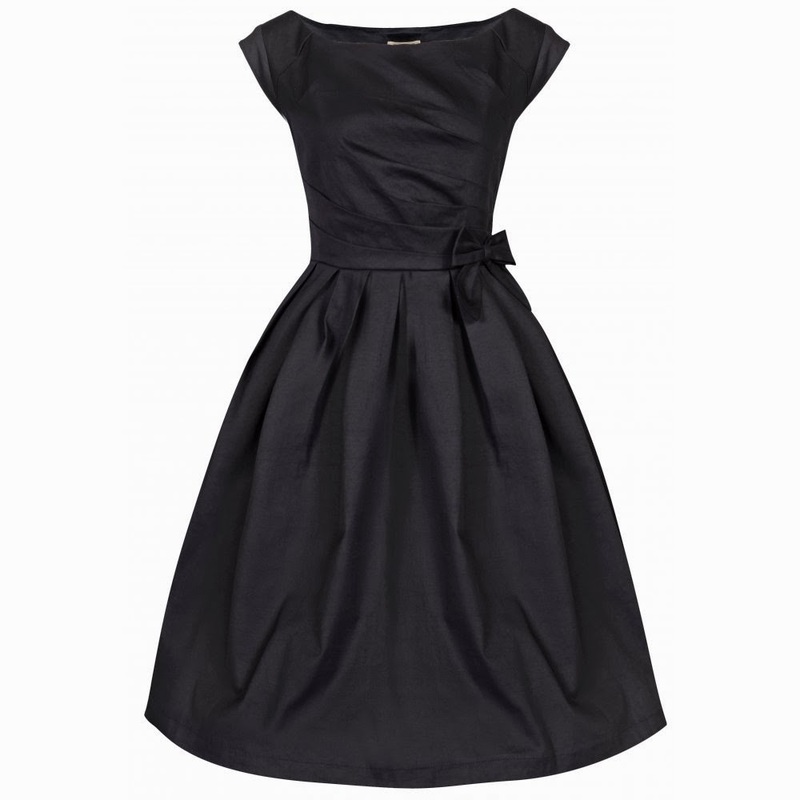 I'm also loving this black boat neck dress from Lindy Bop - wouldn't it be fabulous for a Christmas party with high heels, high hair and a slick of red lippy? 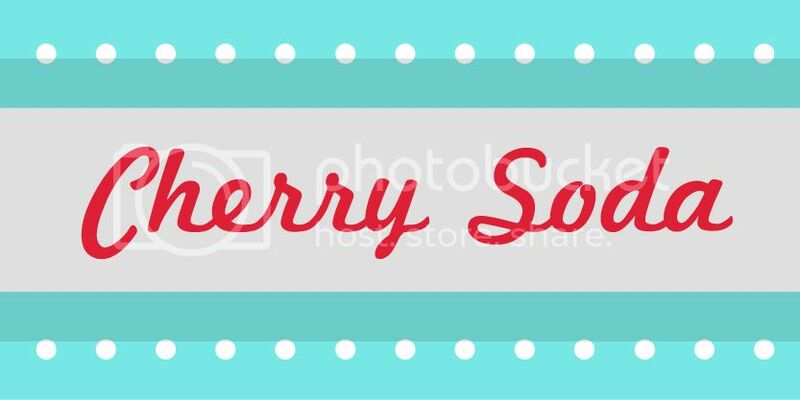 Collectif are outdoing themselves this season with the array of pretty things on offer. I'm a little bit in love with this awesome baseball jacket - it would go with loads of things and the cherry motif is a nice little girly touch against the usual sports look of these types of jacket. 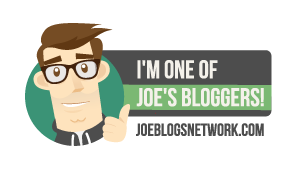 (Plus, y'know, the blog name and all that.) 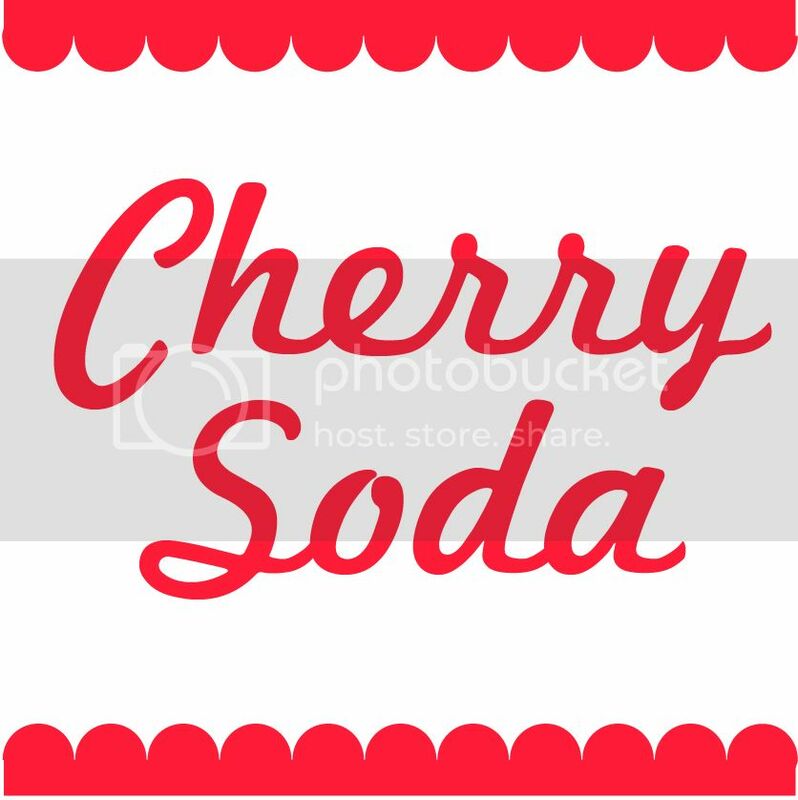 I'd pair it with their Monroe jeans and my trusty Converse. 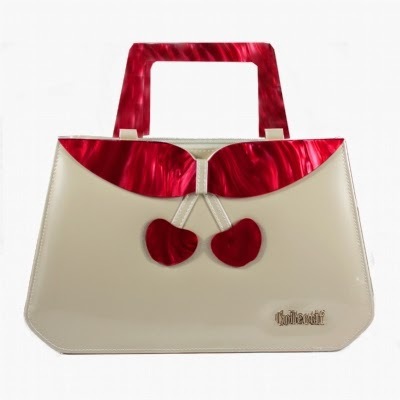 Continuing the cherry theme, this would be a fantastic evening bag to accompany a vintage-style outfit. Having seen it in the shop it's pretty roomy so you'd be able to carry all your essentials, and I like the Lucite-esque detailing on the handle. 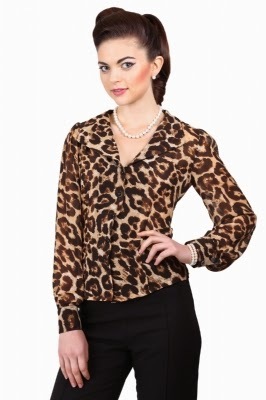 I'm a big fan of leopard print and this long-sleeved blouse would be a great addition to your work wardrobe. It'd go just as well with a black pencil skirt as with trousers and heels and the sheer fabric adds sexiness whilst the long sleeves keep it the right side of appropriate. There's also a short-sleeved version if you'd prefer. OK, I'm cheating a bit here because this is two items, but both of them are big favourites of mine. The Liesel mini skirt has an adorable cute cheeky flirtiness about it, especially with the braces, and is offset nicely by the Dolores top (which also comes in red) - I love the button detail on the front and the sweetheart neckline. This is the kind of outfit I could see myself wearing to dance the night away in a rock'n'roll club. Finally, if you've got any weddings or other big events coming up, this Lady V London dress would be a brilliant pick. 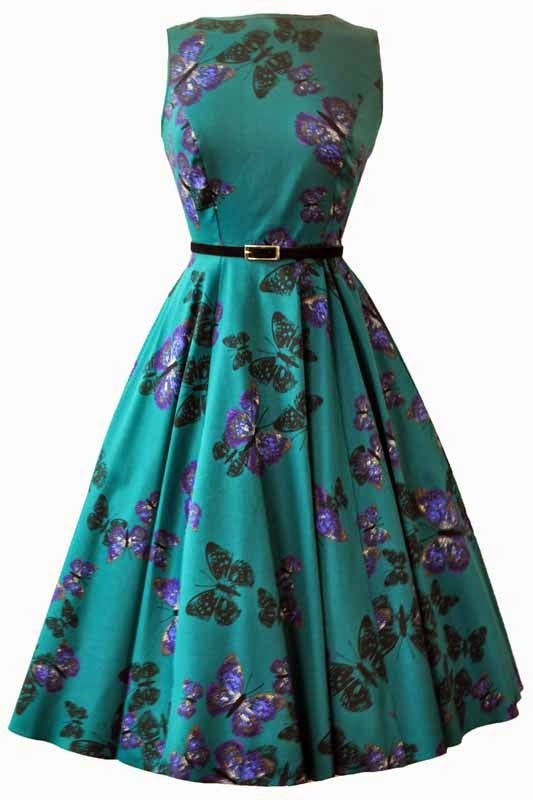 It's got a gorgeous Audrey Hepburn in Breakfast at Tiffany's-style shape, a lovely summery print (more butterflies!) in autumnal teal and purple, and would look just as good with black tights as with bare legs. There is way too much lovely vintage stuff out there right now to share with you in one post, but suffice to say I'm also liking 20th Century Foxy's Rizzo shirt and Peggy dress, as well as Vivien of Holloway's amazing range of 1940s-style swing trousers - perfect for when it does finally get chilly and skirts and tights won't quite cut it in the office any more. What do you think of my retro AW14 wishlist? What's your favourite piece? I might also do a 'Autumn/Winter Wishlist: High Street Part 2' post as more stuff starts coming in so let me know if you'd like to see that! 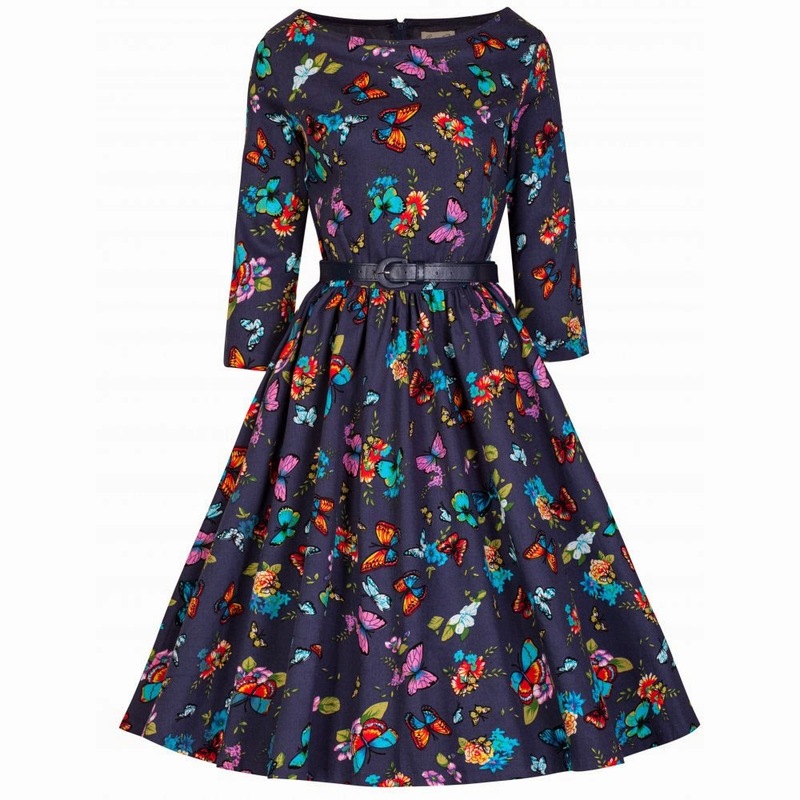 That Lindy Bop butterfly print dress is just gorgeous!